(one for each player, bottles should have some water in them about a third full). In preparation set out a start and finish line and place marker cones at equal distances between the two. The game can be played individually or in teams. 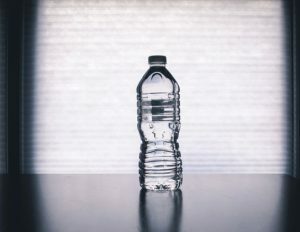 All players begin the race at the starting line with a water bottle and each time a Leader says “flip”, everyone attempts to flip the bottle from their hand to land successfully standing upright on the floor. Each successful player then moves to the next marker cone and the unsuccessful players remain where they are. The first player to cross the finish line wins! For a tiebreaker, or just for fun afterwards why not see who can land the most consecutive bottle flips.